Rwanda is still recovering from the mass killings that deeply shattered the African nation in 1994. Over recent years, many human development figures, including the infant mortality rate, have noticeably improved. However, a number of challenges still remain. SOS Children’s Villages aims to help the Rwandan children and young adults to grow up in a safe environment and lead a dignified life. In Rwanda, there are currently four SOS Children's Villages, three SOS Youth Facilities, four SOS Kindergartens, four SOS Hermann Gmeiner Schools, three SOS Medical Centres, one SOS Vocational Training Centres, as well as four SOS Social Centres. Our work in Rwanda began in 1978 in Kigali. In 1986, SOS Children’s Villages initiated its work with the young adults who had outgrown the SOS Children’s Village in order to help them on their way to a life on their own. After the terrible events that took place in 1994, our organisation’s main emphasis lay in the therapeutic rehabilitation of thousands of traumatized children and in repatriating families. In 1995, a third SOS Children’s Village was started in Byumba, in the northern part of the country. Because of the continued need, the organisation kept extending the SOS Children’s Village in Kigali. Since 2004, SOS Children’s Villages International has also specifically been assisting families affected by HIV/AIDS. At present, SOS Children’s Villages International is supporting children and families though four SOS Children’s Villages in Rwanda. Children whose parents cannot take care of them will find a loving home in one of the SOS families. 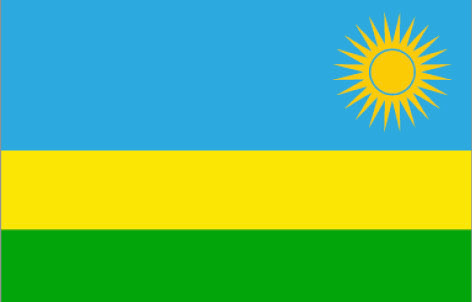 The Republic of Rwanda is a country situated in Eastern Africa. Ethnic tensions between the Hutu majority and the small, dominant Tutsi minority have marked the country’s history. In 1962, Rwanda gained independence from Belgium, which had, through the local kings, ruled the country since World War I. Under Belgian colonial control, separate identity cards were issued, labelling each Rwandan citizen as Hutu, Tutsi or Twa. The colonial discourse of ethnicity had established the Hutu as inferior to the Tutsi, which further exacerbated the divide between the two groups. It was only three years prior to Rwanda’s independence that the majority ethnic group, the Hutu, overthrew the ruling Tutsi king. Thousands of Tutsi were killed and hundreds of thousands driven into exile. In 1990, a Tutsi rebel group - the Rwandan Patriotic Front (RPF) - tried to regain power invading Rwanda from their exile in neighbouring Uganda. Ethnic tensions finally culminated in 1994. Between April and July, three quarters of Rwanda’s Tutsi population and thousands of moderate Hutu were slaughtered. In what has been considered the world’s worst genocide in modern times. The atrocities committed against Rwandan men, women and children during these months go beyond the imaginable. Within three months, up to one million were killed. In spite of persistent and widespread poverty, the country is now politically stable. An increase in tourism, coffee and tea exports has led to the much-needed economic growth. Nonetheless, the country still largely depends on foreign aid. The legacy of genocide remains strong in present-day Rwanda as nearly all Rwandans have somehow been affected by the tragic events that took place in their country in 1994. In spite of the fact that the Rwandan government has made the fight against infectious diseases a national priority, AIDS/HIV remains one of the country’s major public health concerns. The virus has affected the lives of thousands of Rwandan families. HIV also has strong economic implications as it tends to affect the country’s most productive age group. At 2.9 per cent, Rwanda has a comparatively high HIV prevalence rate. However, over recent years, the scale-up of anti-retroviral therapy has been a success. Access to basic needs such as food, housing and proper sanitation remains difficult for thousands of Rwandans as 40 per cent of the population are chronically undernourished. Rwanda remains one of the poorest countries in the region: around 80 per cent of the country’s population live in poverty. Rwandans who survived the mass killings often carry deep psychological scars. The magnitude of violence that tens of thousands of children had to experience during the 1990s is staggering. 95 per cent of those who survived had directly witnessed violence and around 80 per cent had lost close family members in the mass killings. Although they generally earn less sympathy, thousands of children who were forced to participate in the genocide are also victims. Many confessed to have killed in order to escape torture or being killed themselves. Strict laws on child protection have been passed over recent years. 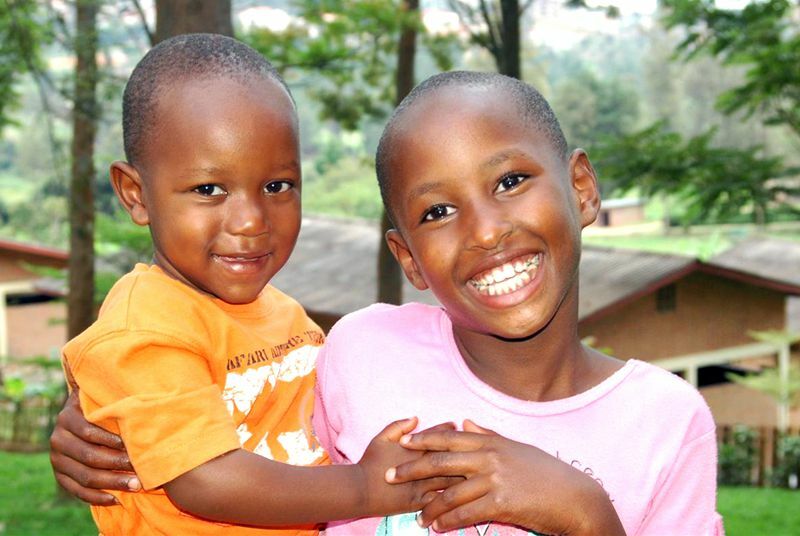 In the lush green hills of Rwanda, 690,000 children are growing up without their parents. 130,000 of them have lost their parents due to AIDS. An unknown number of young Rwandans have been recruited as child soldiers in the neighbouring Democratic Republic of Congo to where their families once fled either after or during the war. Many more are struggling to survive as street children in the streets of the Rwandan capital Kigali. Although various campaigns have been launched by the government in order to sustain child survival in the country, Rwanda’s under-5-mortality rate remains high at 111 per 1,000 live births. This means that approximately one in every 10 Rwandan children dies before their fifth birthday, mostly from preventable causes such as malaria, chronic undernourishment, diarrhoea or pneumonia. Happy – "Confidence, charm and great hair!"